"Installation 01," the fan-made game based on the "Halo" franchise has finally received the greenlight from 343 Industries. The team behind the multiplayer PC game announced the news on the community-driven project's official blog. Anyone who knows a bit about copyright laws know that copyright infringement has very serious consequences. But with 343 Industries officially giving their blessing, the game's developers can now breathe a sigh of relief. However, there are a few conditions that come with the permission to continue developing the game. The developers cannot sell the game for a profit or accept any donations. They are also forbidden to sell merchandise based on the game or the "Halo" fanchise. They are however, allowed to sell merchandise based on the development team and the development studio itself. Failure to abide by these conditions could result in 343 Industries retracting their permission to develop the game. This could result in legal trouble for the team should they continue to pursue development without permission. "Installation 01" is based on one of the Forerunner structures that are the namesake of the "Halo" series. This particular ring is made up of an endless desert with virtually no water on its surface. The game incorporates elements from both "Halo 2" and "Halo 3" to create a unique Halo experience on this harsh environment. Church, the project's manager and lead says that they will be treading carefully with the game's development. Through these interactions, he assured everyone that the project is in no imminent legal threat provided that they remain non-commercial in nature. He adds that they will continue to follow Microsoft's Game Content Usage Rules to the letter during the game development. 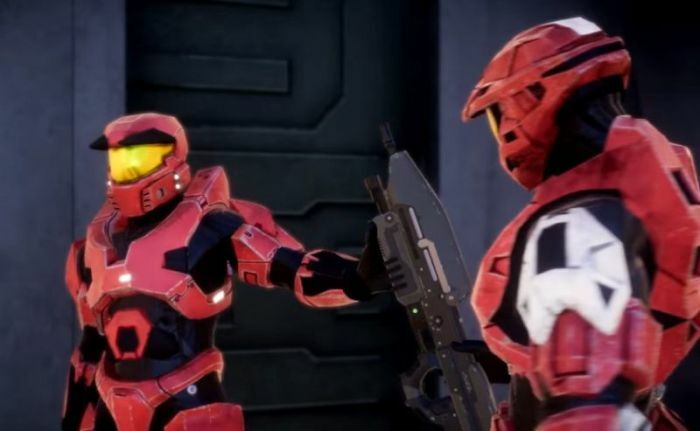 Church hopes that as a fan project, the game can continue to be a positive driving force in the "Halo" community. "Installation 01" is yet to announce a release date. However, the developers did release a trailer for fans to enjoy.